I want to install Skype, but I can't locate it in Software Center or by using Synaptic Package Manager. Can anyone help me? 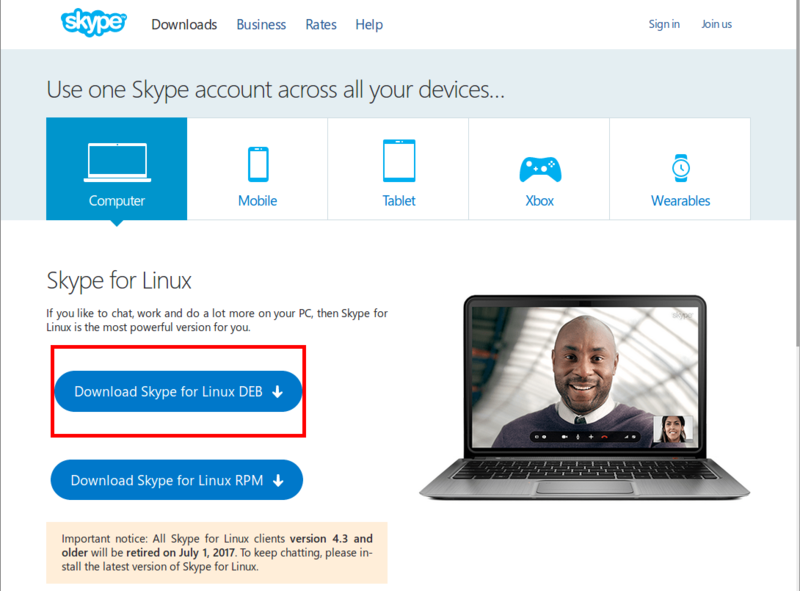 Download the Deb package for Skype for Linux with your favourite web browser or HTTP client. You’re done! When you installed the package it automatically added a repository […] to keep your installation of Skype up to date via Ubuntu's package update process. 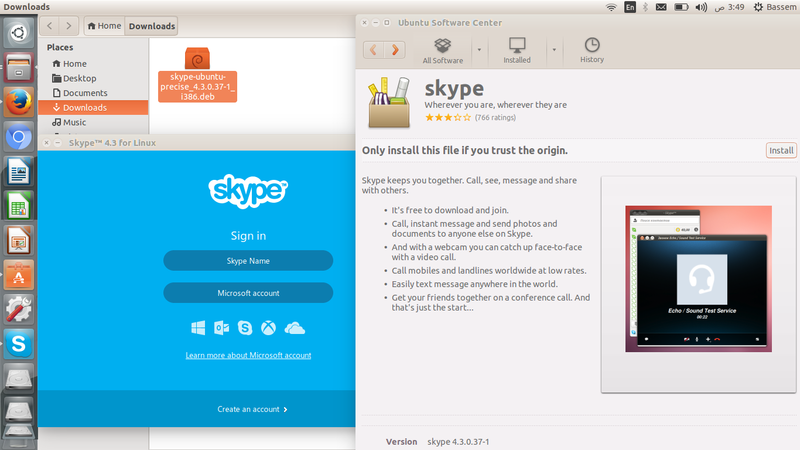 The new Skype application works only on 64-bit (amd64) installations of Ubuntu. Skype is now available in the snap store. Skype has been released as a snap package. The skype snap package will be updated automatically when updates are available. I went to the Skype web site. Then I choose to "download Skype for Linux DEB". After the download I just double-click on the file or right-click and open with Software Center and click on Install. It will install the Deb package that you downloaded and after finishing you will find it by typing Skype in the search box. You can pin it's icon if you like. Installing packages manually is not recommended. But I have been installing Skype package manually for a quite some time through the Ubuntu Package manager without any problem. Just make sure you check any warning shown by during the installation. Recently, Skype has become very easy to get for Linux users. In fact, the package from the website works but the one in the repositories didn't for me (on Ubuntu 16.04). Just go to skype.com and download the Debian .deb file, which you can open directly by double-clicking the downloaded file in the folder, and it will install through the software centre. As of now it's still in Beta version. Since 2017, Skype has stopped to support the old client and the new ones are not in Canonical’s partner repositories. In order to install the new client and have it automatically upgraded through apt upgrade, you can follow the recipe below, lifted from websiteforstudents.com and tested on Ubuntu 17.10. Either sudo apt remove skype or sudo apt remove skypeforlinux. apt-transport-https allows you to apt update and apt upgrade from a .deb file on available on the web. curl will allow you to download Skype’s GPG key from the web. Create a file /etc/apt/sources.list.d/skype-stable.list containing the line deb [arch=amd64] https://repo.skype.com/deb stable main. This tells apt that it has to check skype.com for the repository. A way to do this in a single command: echo "deb [arch=amd64] https://repo.skype.com/deb stable main" | sudo tee /etc/apt/sources.list.d/skype-stable.list. sudo apt install skypeforlinux will do the job. 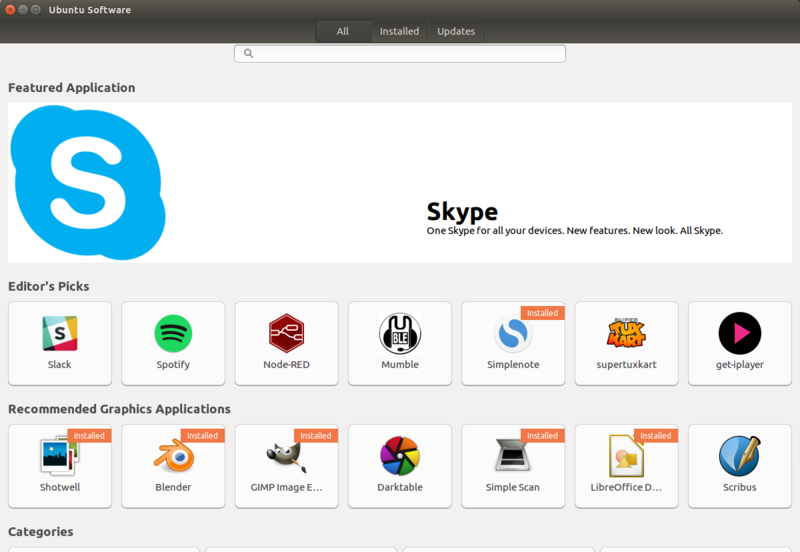 Later, skypeforlinux will be upgraded when needed, like the other Ubuntu softwares. 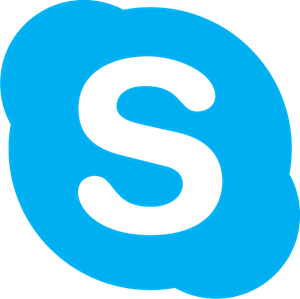 Skype and some other popular applications can be currently (August 2017) installed with Flatpack. What is the command line for skype installation? How do I upgrade Skype using terminal on Ubuntu 14.04?